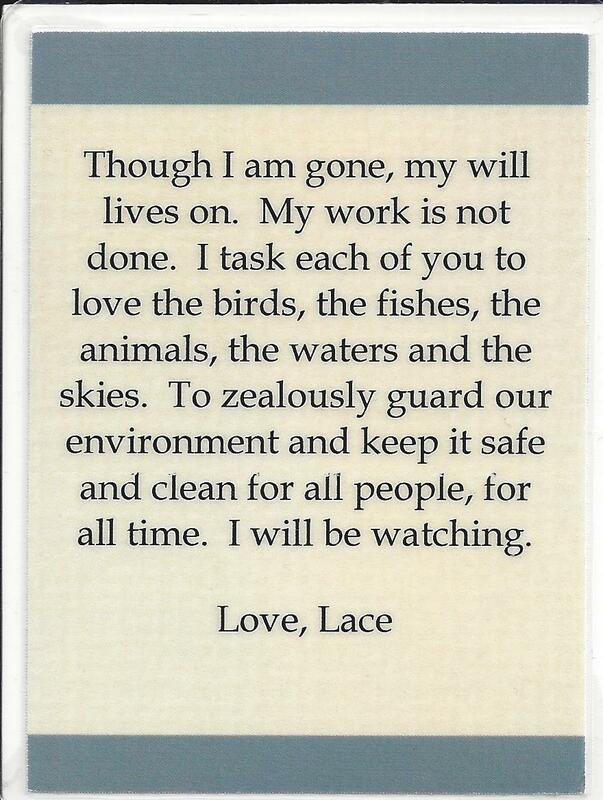 Our beloved Lace passed away on Sunday, April 22nd. It is no small thing that our Earth mother took her leave of us on Earth Day. Lace and her husband were two of the seven founders of the Conservation Alliance in St. Lucie County in 1972. 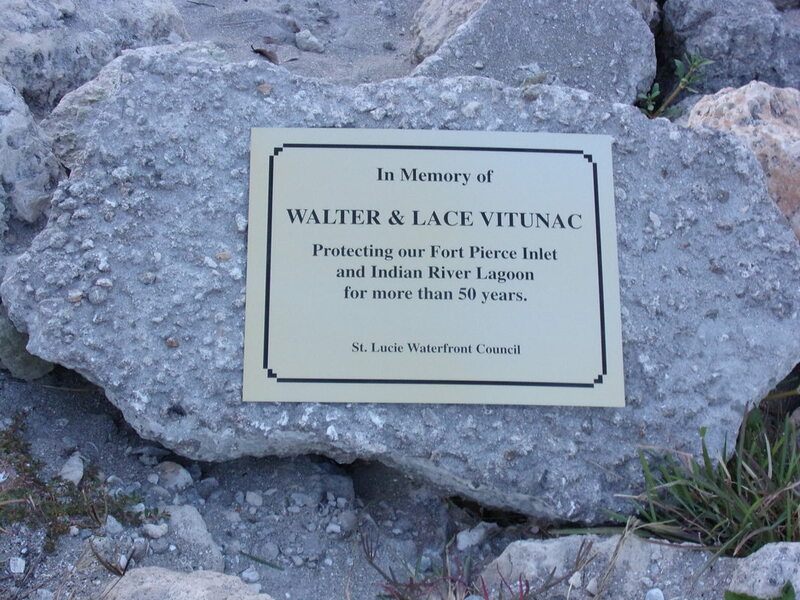 As Ginny Sherlock states, the Vitunacs were “staunch environmentalists who worked tirelessly … and were true environmental pioneers in our community.” Their achievements were many, including successfully lobbying for the creation of two state parks: Fort Pierce Inlet State Park and the Savannas Preserve State Park. A truly remarkable person endowed with great wit, intelligence and passionate dedication Lace was universally admired. Lace took to heart the advice Marjory Stoneman Douglas gave to her: “Never give up!” She was a fighter to the end for the welfare of our environment and the people defending it. 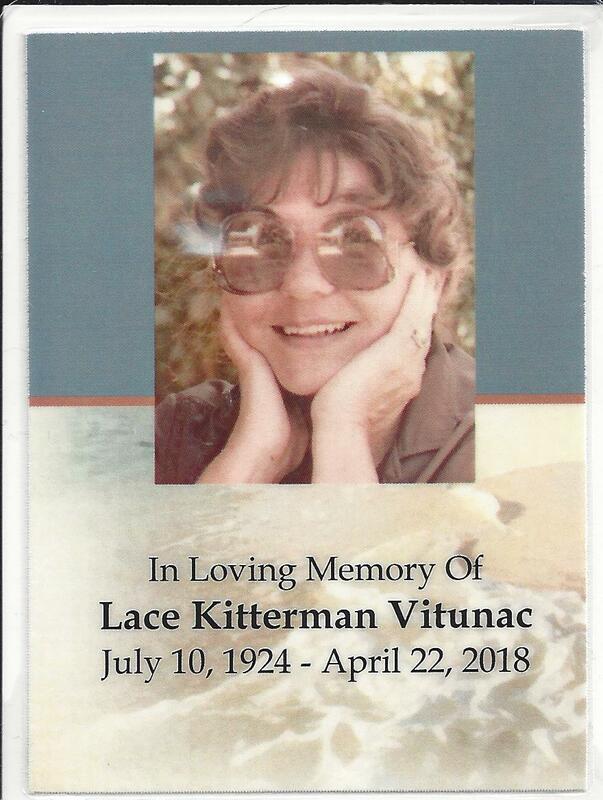 Her family has advised that in lieu of flowers, Lace would have appreciated donations to the Conservation Alliance of St. Lucie County.